The search for the perfect butane lighter is over. 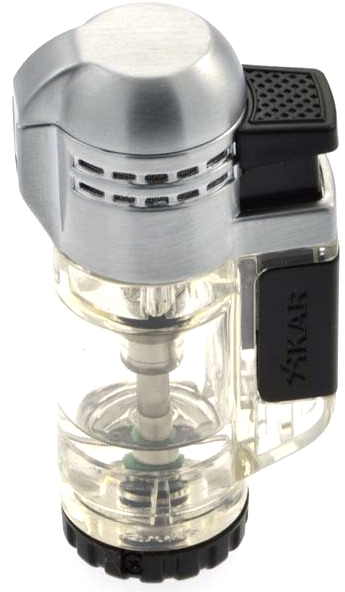 The Xikar Tech double torch butane lighter is made from a clear durable transparent plastic ergonomic body and has black accenting. Featuring a brushed aluminum auto-open lid, it has a single action operation and the flame adjusts with a twist. This butane lighter lasts longer with the large tank, and it uses triple refined butane. Backed by a manufacturer's lifetime warranty, it has outstanding design and performance.